​ LOVING COUNTY – San Antonio-based refiner Andeavor Corp. will build a $225 million crude oil pipeline in West Texas. The first phase of the 130-mile Conan Crude Oil Gathering Pipeline system will transport 250,000 barrels per day and begin in Loving County and Lea County, New Mexico and will connect with other pipelines in Loving County. 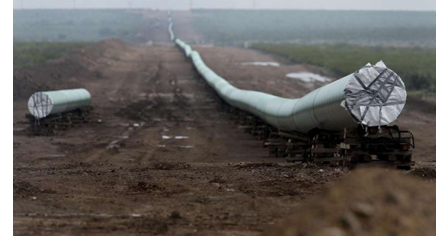 A second phase could double the pipeline’s capacity to 500,000 barrels a day. The pipeline will be built in the Delaware Basin, the western portion of the prolific Permian Basin oil field. Andeavor expects to begin commercial service in mid-2018.